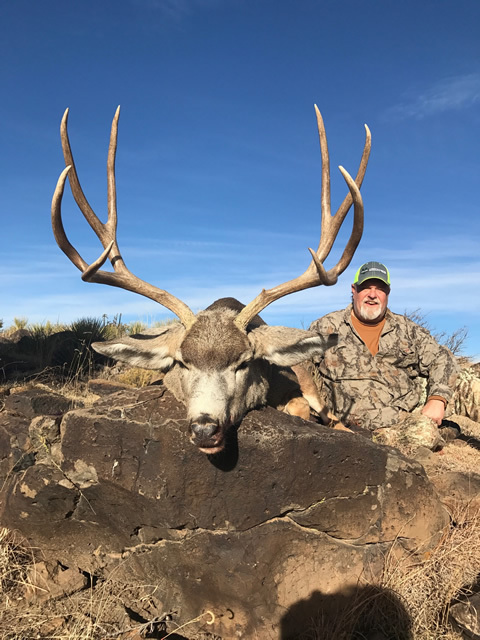 Although trophy mule deer are the hardest trophy animal in the country to come by, due to limited hunting pressure on large tracts of private land in New Mexico and Colorado, we’ve been able to harvest our share. 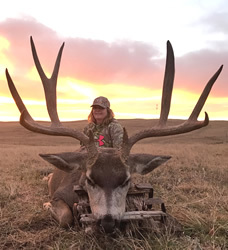 In 2018 the early hunt was good with 3 hunters taking great bucks including a trophy whitetail! The late hunt was the toughest we’ve seen, with only a few bucks of the old age class seen and not harvested. 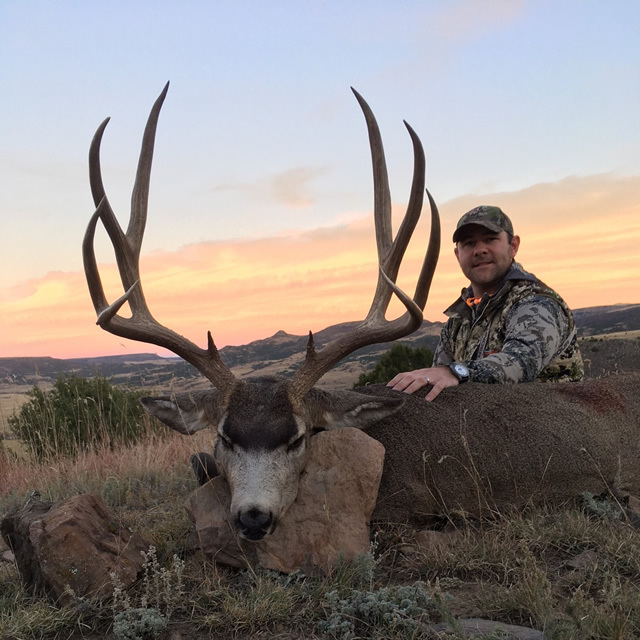 Some of the great bucks seen early were nowhere to be found. New for 2019! 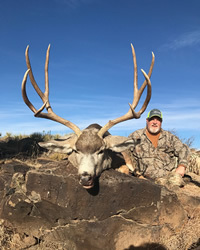 We will offer deer only hunts again in New Mexico. 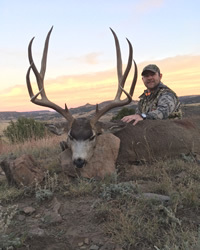 We’ve been able to pick up a few great deer places to add to our already super ranches. 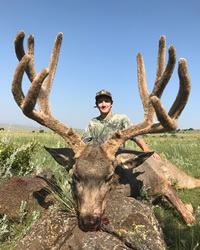 This is undoubtedly one of the best-valued trophy deer hunts in the world. 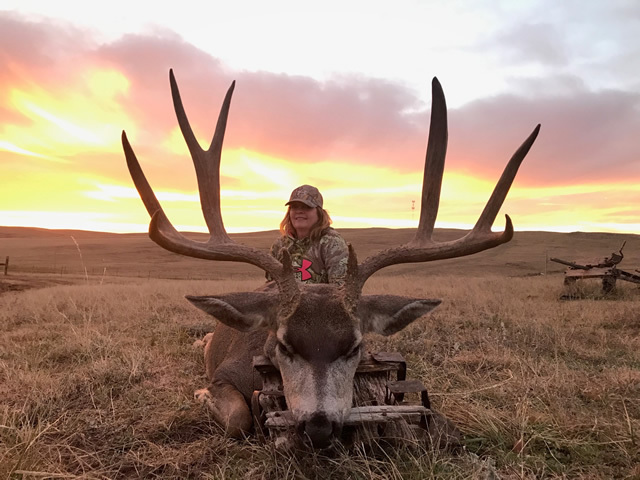 Almost every year we’ve been able to harvest bucks close to the 200” class or better. All years, bucks taken have averaged over 6 1/2 years in age. This, combined with great genetics, spells BIG BUCKS. 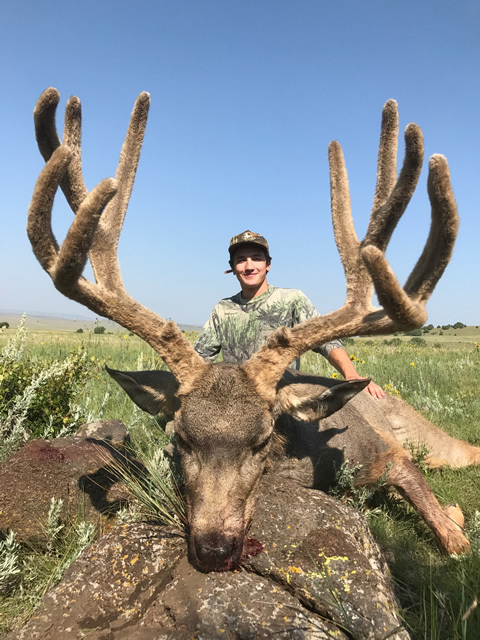 Big bucks at the optimum time periods to hunt them.